Let me give you a personal example. A number of years ago, I was in Paris, France for the first time. Although I was there on business, I had some time to wander around this amazing city. I wanted to buy something that would remind me of this wonderful place. 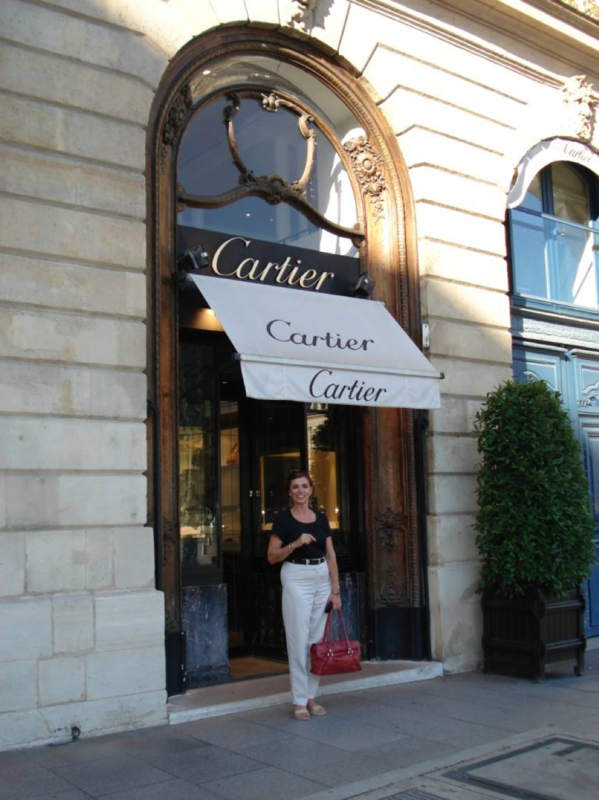 As I strolled along Place Vendôme, I saw the Cartier awning over the doorway. I spent some time in the store looking at and trying on some incredible pieces of jewelry. In the end, I decided on a simple gold and silver bracelet. Now, what does this have to do with the “anchor” step in the process? I mentioned before that in this step, it was important to find a word, gesture or object that would intuitively recall a particular occasion. In this case, I chose the Cartier bracelet to remind me of the remarkable and lavish feelings I had on that trip. I had flown first class to Paris and was staying at a five-star hotel within walking distance of the Palace of Versailles. And now I had purchased a beautiful bracelet at one of the most iconic jewelry stores in the world! By using the bracelet as my anchor, I was able to recall all the successful and extravagant feelings or senses I had on that trip. And I could recreate it – in an instant! If that is the character I need to BE, then this item is perfect for not only putting me in that state of mind but projecting the body language, gestures, facial expressions and tone of voice that matches that character. And because I had actually experienced it, it is authentic and really me!